Though we probably don’t want to admit to it, self-sabotage, especially when it comes to our health, is a sneaky, easy trap to fall into. The concept of “All or Nothing” can get in the way of focusing on small, consistent changes that will result in long-term success. By thinking, “Better Than Nothing,” instead, you’ll be able to make sustainable strides in your wellness efforts. You sign up for a juice cleanse or fad diet, but it backfires when you either a) get way to irritable and hungry and choose to give it up for a diet filled with unhealthy foods or b) do a great job for short-term results and then resume poor eating habits as a reward following your restriction. You start seeing great results but hear unsupportive comments from friends, family and co-workers and become discouraged. You lose weight quickly but then give up once you hit a plateau or realize that more time is needed to continue to get results. You compare yourself to others and look to social media to judge your progress. If you don’t feel you measure up, you quit. If any of these instances apply to you, keep reading! I will address each point and provide helpful tips to change your mentality and boost self-esteem. Staying motivated and resisting defeat is so important in feeling awesome, proud and healthy. Restricting calories, fat and treats is no fun, and this feeling of deprivation usually backfires, causing us to binge and give up on our health goals. Rather than eliminating foods and deeming them as unhealthy, think of all foods as diet-friendly in moderation. Of course eating fruits, veggies, lean proteins and healthy fats are winners in the health department, as they have the highest nutrient density and keep you trim, strong and balanced; yet, foods that are stripped of nutrition are not necessarily bad to eat on occasion. In fact, eating a square of dark chocolate a day has been shown to lower levels of depression and decrease the likelihood of a binge! Quit jumping into the latest fads and focusing on what not to eat; instead, strive to make sustainable healthy habits, listen to your body’s needs and cravings and don’t beat yourself up a bite of something that is purely for pleasure. If you’re a perfectionist, I know you’re paying attention. We often hold ourselves to high, unrealistic standards and figure that if we accomplished something once, we should always be able to get there. Unfortunately, we are not invincible! Our bodies get tired, our schedules become busy, and life just happens where things don’t go as planned. It’s important to adjust and do what we can, feeling proud of ourselves to making an effort regardless and not giving up. If you usually workout for an hour, but can only do 45 minutes, cut yourself some slack! If you feel in pain, STOP. End the workout short and be proud of what you did, then go home and rest, ice and take an anti-inflammatory. If you simply don’t have enough time, find solutions. Perhaps split up the workout between morning and night or do 10-minute spurts of plyo work throughout the day to compensate. If these aren’t options, just be thrilled with the amount of time you have and push yourself to give it your all. A shorter workout is better than no workout! While we all wish our friends and family would be unconditionally supportive, there are generally a few bad apples in there that can’t get past their jealousy and competitiveness. As long as you enjoy your new figure and energy, don’t let criticism deter you from keeping up with your goals. Try and realize that when someone says, “Your face is too thin; it makes you look old and tired” or “I don’t know how you’re eating so much salad; you should eat more and not be so uptight,” they are actually just jealous and looking to put you down! Early, rapid weight loss is mostly water weight, and once those pounds are gone, it will begin to take more time and effort to continually shrink. Don’t feel discouraged if you make immediate progress and then feel as though week two of your health efforts is not as stellar. Likewise, don’t judge how you look and feel based on the scale. Muscle weighs more than fat—if you are building more muscle, the numbers might actually increase, and once you start to lean out, the weight will drop. A good rule of thumb is to also go by clothing, not pounds. If your jeans feel tight, maybe cut back on the bread for a few days. If they feel loose, keep up the great work! And remember, good things take time. All those glamorous photos of models in magazines? Photo-shopped. With all those fancy tools, it’s easy to change skin pigmentation, waist size and cellulite visibility, among other things. Only focus on yourself and learn to love what you’ve got. Comparing yourself to others brings about negativity and pressure. Plus, you never know what’s really on the other side. Aim to achieve health, happiness and confidence to feel your best self. In the end, that’s all that matters. 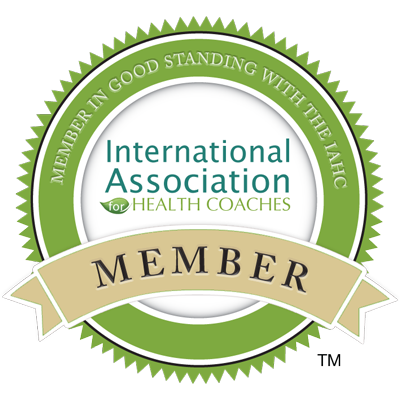 Isadora Baum is an independent Holistic Health Coach, focusing on integrative nutrition, exercise and stress reduction. She is passionate about helping others feel healthier and happier in their own skin. With a B.A. in Psychology from Northwestern University and a certification from The Institute for Integrative Nutrition, her knowledge and personal experiences enable her to see the individual as a whole and tailor sessions according to his or her needs.